Do you need a method to stop someone from doing something? Have you ever needed a fool-proof way to distract someone from doing something without making it obvious what you wanted? Here’s the perfection solution: just ruin the moment by yelling their name! A girl flirting with your boyfriend? The new girl getting chummy with your best friend? Your crush about to kiss her new boyfriend? All jokes aside, that’s how episode 9 started. 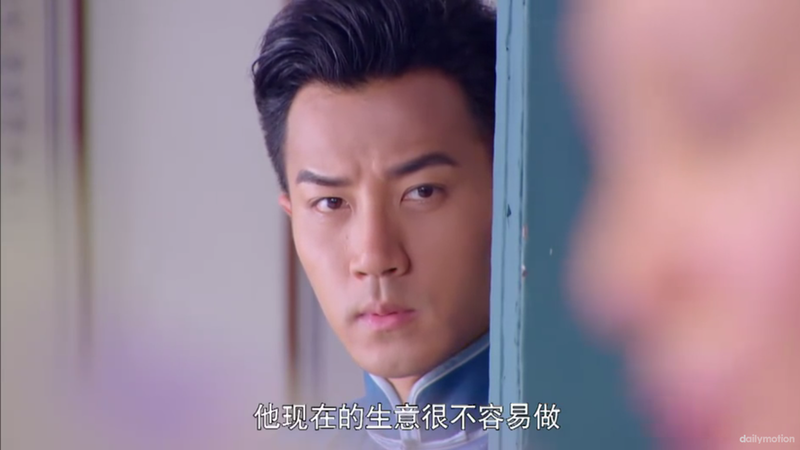 Jiang Yu saw that Shao Tian was about to kiss Cai Hong, and he proceeded to yell her name in order to ruin the moment. Their reaction to it was so weird. 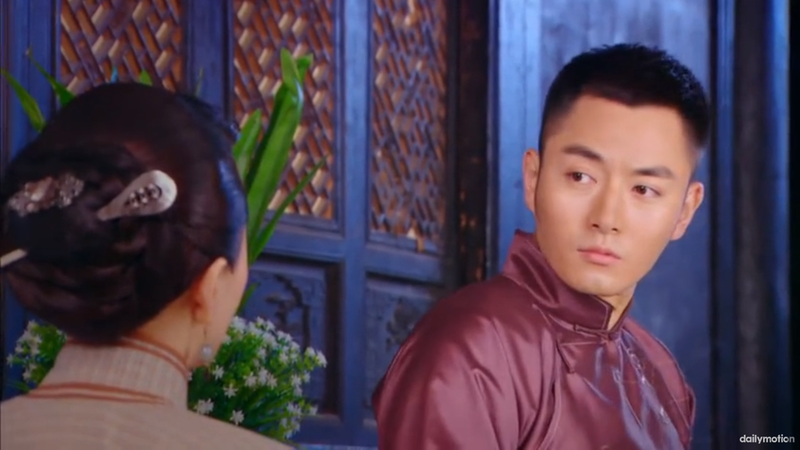 If I saw my boss during my date for some reason I’d be like “WTF, why are you here?”, but instead, Cai Hong makes eye contact with Jiang Yu and quickly leaves. 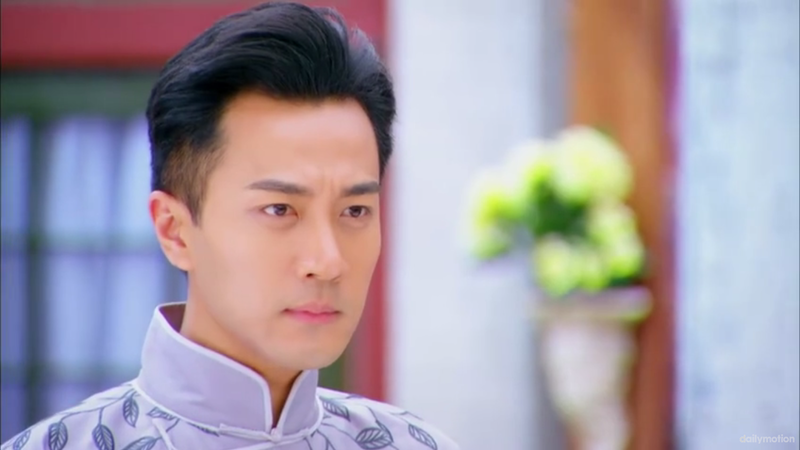 Jiang Yu and Shao Tian exchange words of competition again, and they both tell the other to stay away from Cai Hong. Cai Hong visits Mama Jiang at the hospital with her favourite food to try to make it up to Mama Jiang that she didn’t bring her the glasses like Mama Jiang had asked. 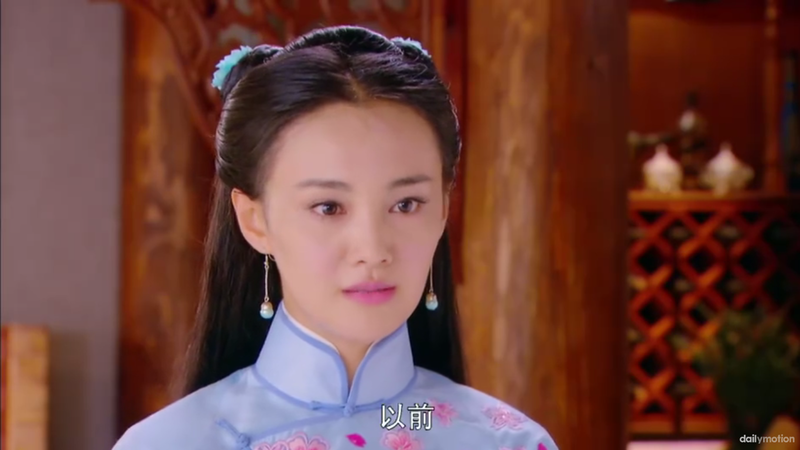 Like… why doesn’t Mama Jiang know that Cai Hong is Wu Hong Da’s daughter. 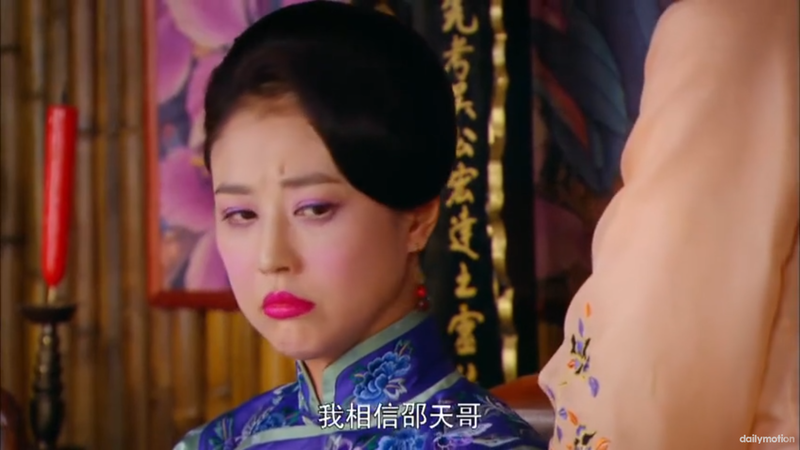 Given the behaviour of Fei Fei, I feel like she would’ve told Mama Jiang a long time ago. 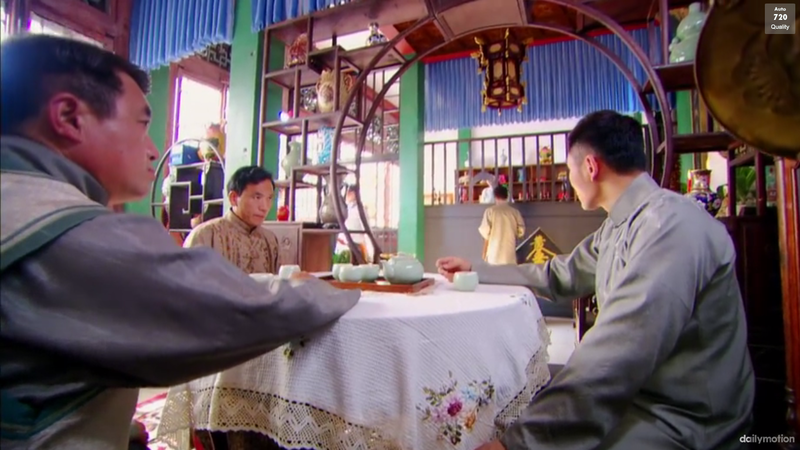 I’m surprised Mama Jiang hasn’t talked about her son or her family enough to reveal to Cai Hong what really happened a long time ago. 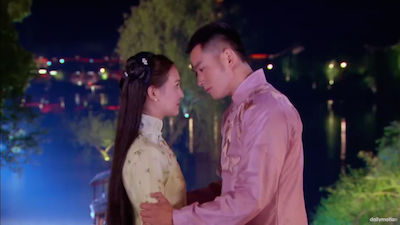 Jiang Yu sees Cai Hong visiting his mom, and feels comforted/attracted to her caring nature, but has pangs of disappointments when Cai Hong refers to Shao Tian now as her ‘boyfriend’. 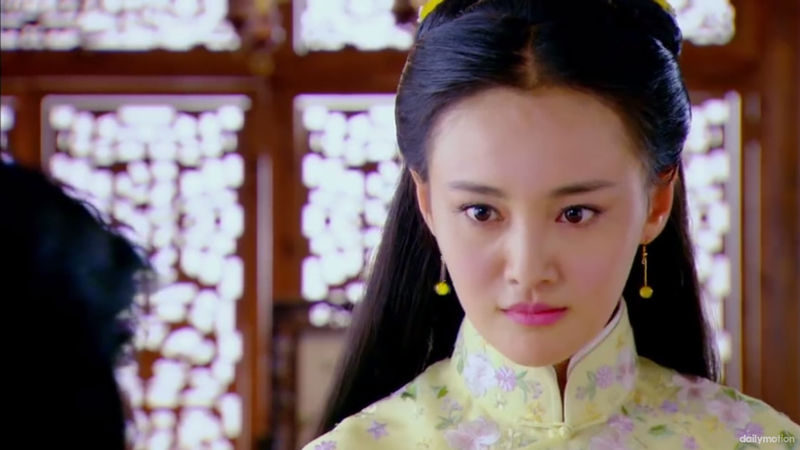 On her way out she bumps into Jiang Yu and throws out angsty insults. 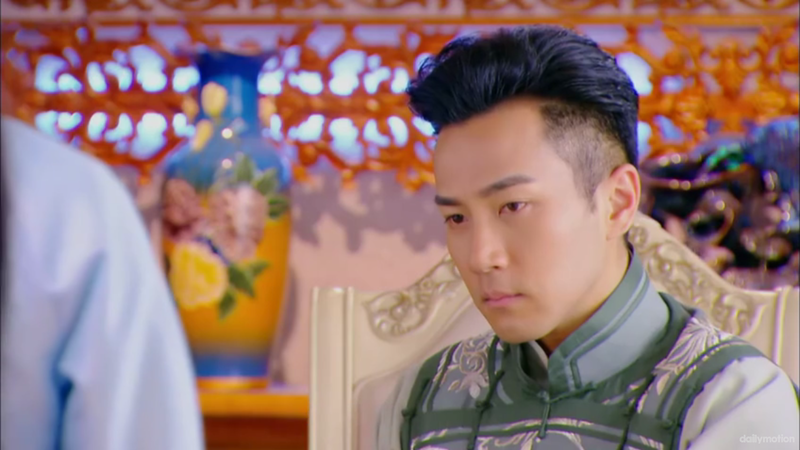 I didn’t realize how often these insult scenes between Jiang Yu and Cai Hong are until I started to do this recap. No wonder the drama has gotten a little boring, because these insult scenes keep happening, and they’re so redundant. 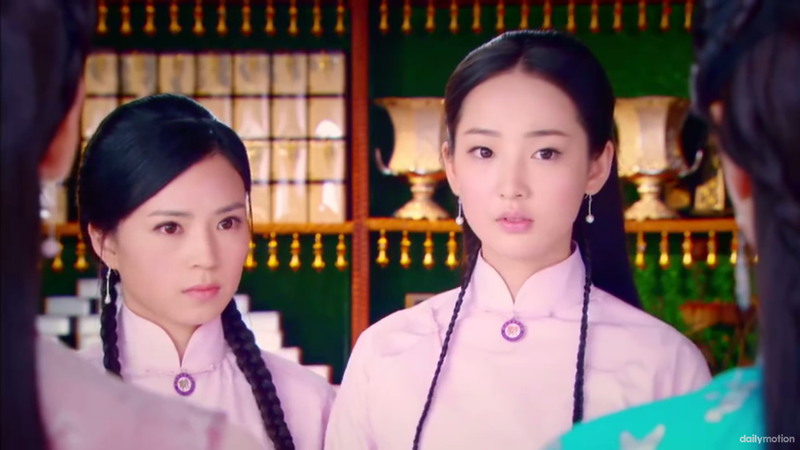 Fei Fei bumps into Cai Yun, Cai Hong’s sister, at a high-end make-up store. Fei Fei secretly drops a lipstick into Cai Yun’s bag, and frames Cai Yun for theft. 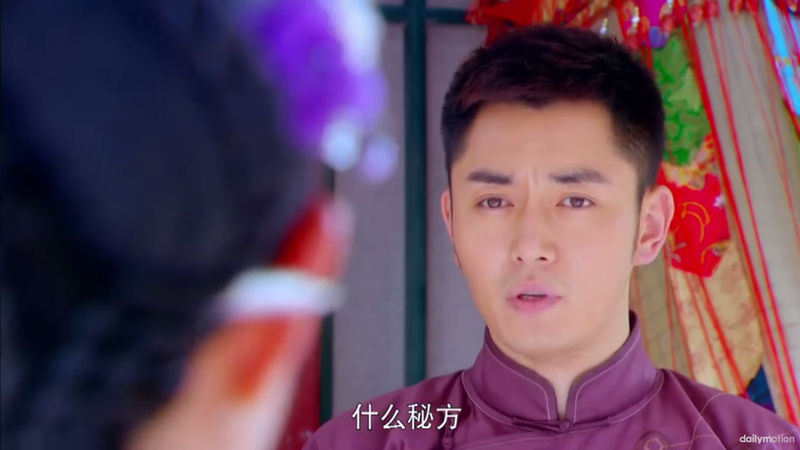 Cai Yun ends up in the police office, with the fei police chief. 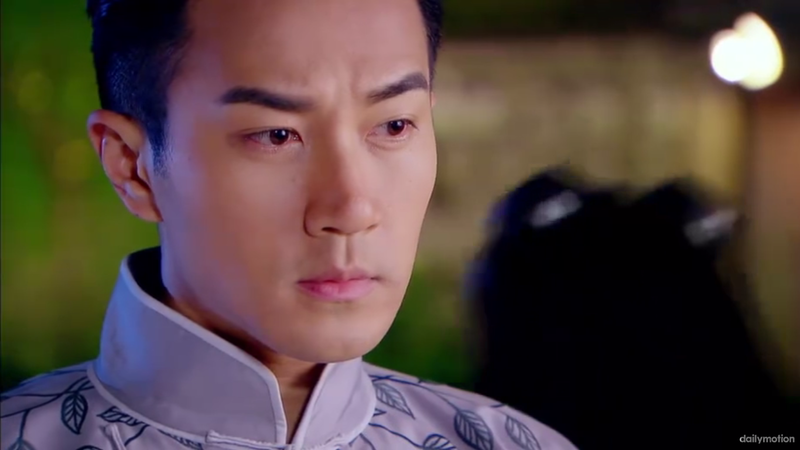 He proves his uselessness again when Shao Tian convinces him to let Cai Yun go because ‘she doesn’t look like the type that would steal’, and that ‘they could pay the owner back for the lipstick’. Apparently those are grounds to cancel a theft charge. 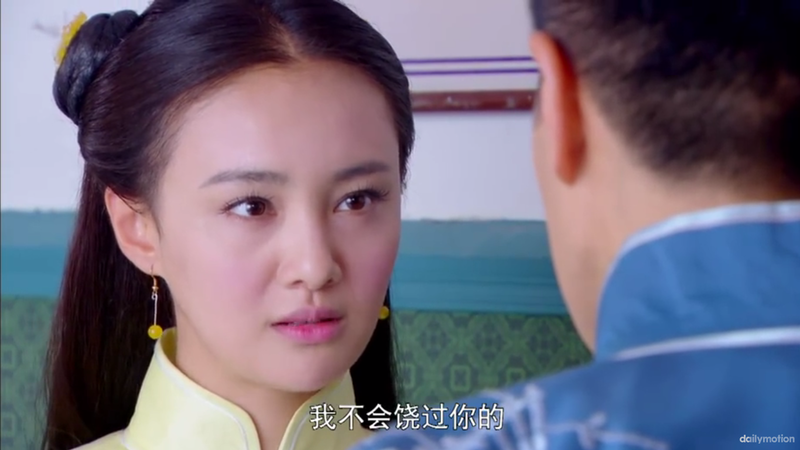 Cai Hong confronts Jiang Yu for framing her sister (somehow it’s his fault too, when she clearly knows that it’s Fei Fei that did it). I swear, I only watch it for this good-looking face. Meanwhile Shao Tian convinces other small fabric business owners to lower their prices by 10% to compete with Ling Long’s prices. 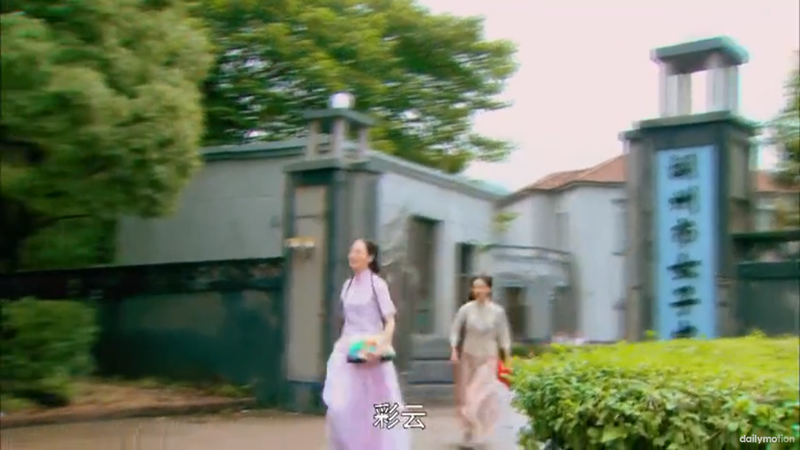 Jiang Yu bumps into Cai Hong when Cai Hong buys these rose pastries for Mama Jiang. 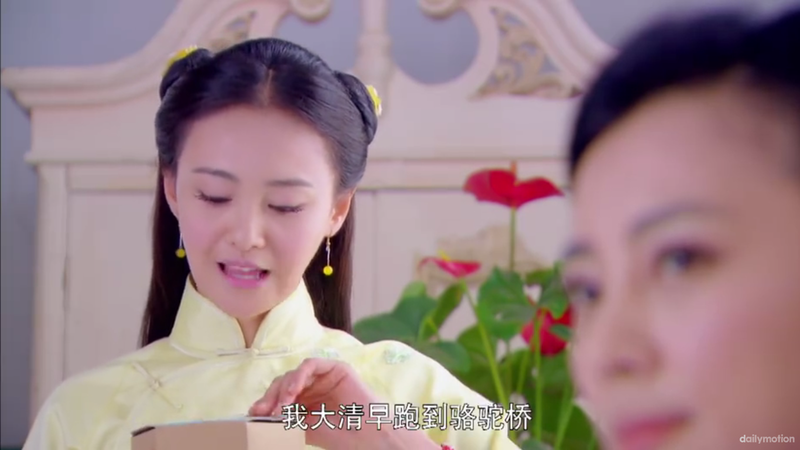 Anyways, Jiang Yu sets out a notice to pay new workers three times their original wage if they switch to Ling Long. 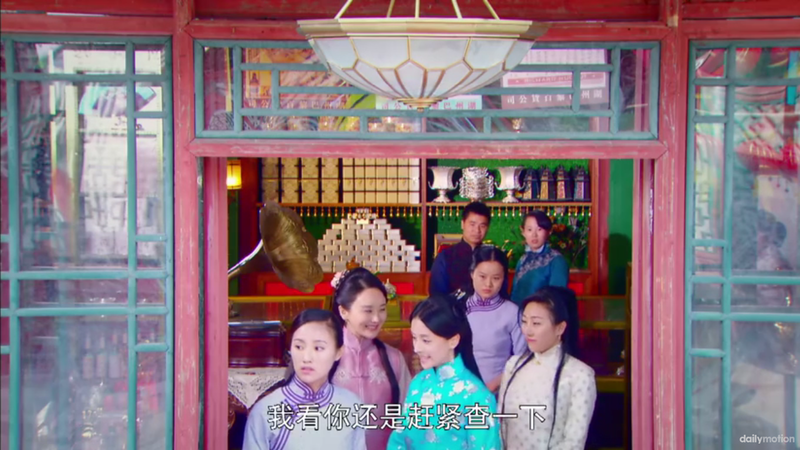 This was a tactic to steal all of Shao Tian’s workers at a time where they had high orders (because they stole Ling Long’s customers) – and it worked. 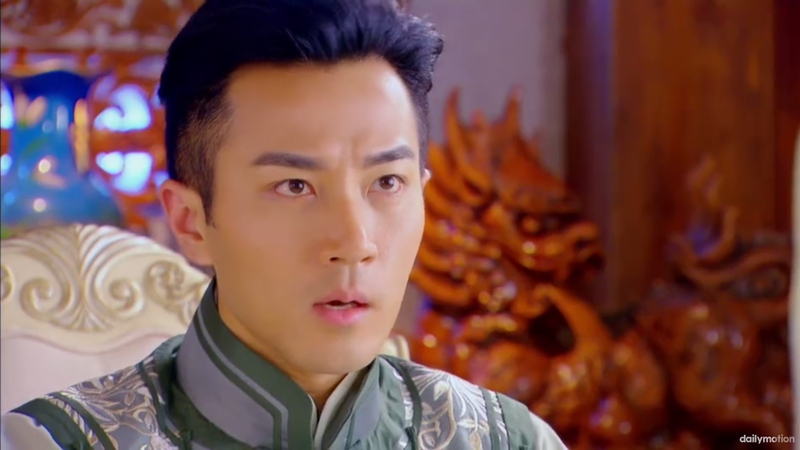 Shao Tian is pissed – he goes to find Jiang Yu at Ling Long to confront him. I completely agree with what Jiang Yu said though – that’s how business is. 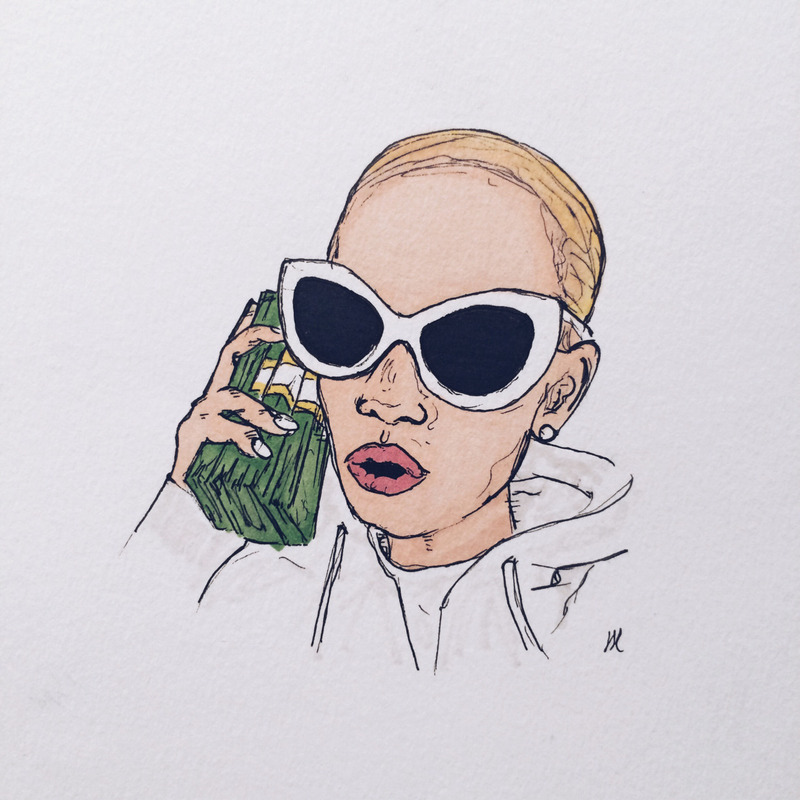 If you have power, if you have money, that’s what you’re able to do. 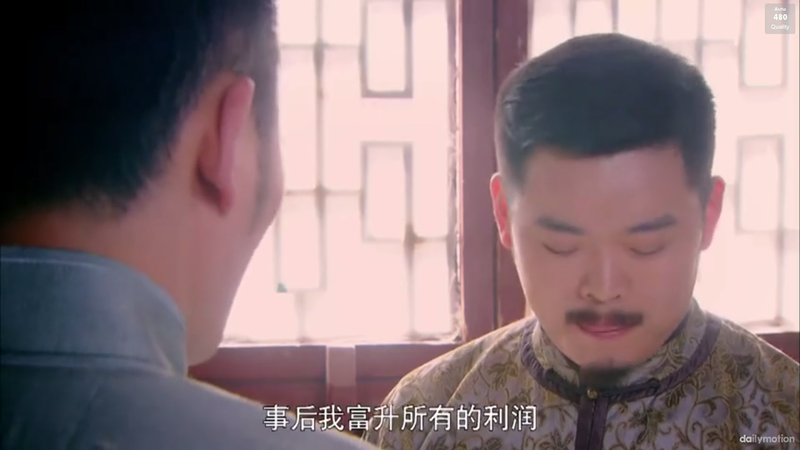 Before Jiang Yu leaves, he tells Shao Tian to spit up the money that he stole from Ling Long (while it was under Wu Hong Da). 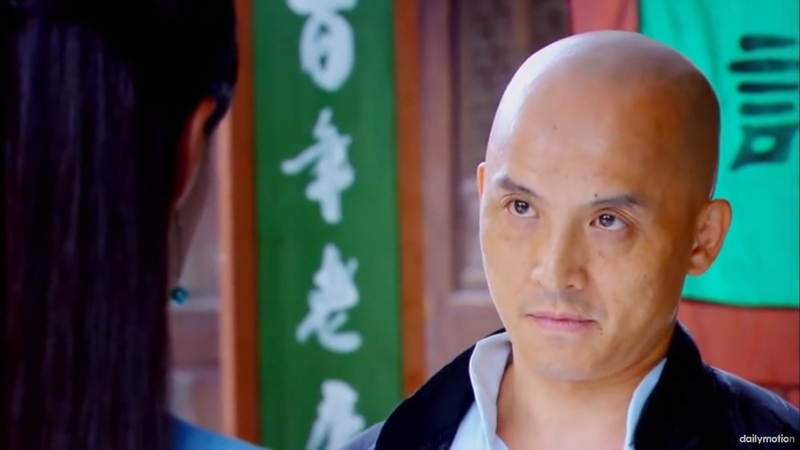 Shao Tian’s original lender refuses to lend him more money, and demands that he returns the money that he borrowed for opening Fu Sheng ASAP as well. 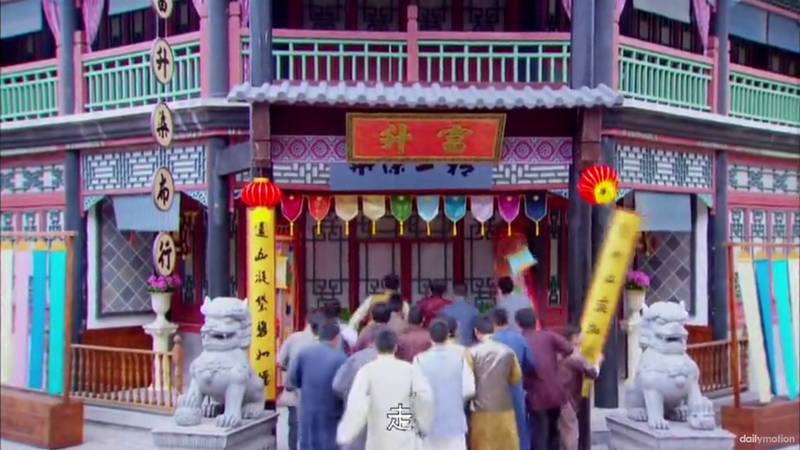 Sigh, yet another scene where Cai Hong goes to find Jiang Yu to yell at him and call him a monster and cold-hearted. 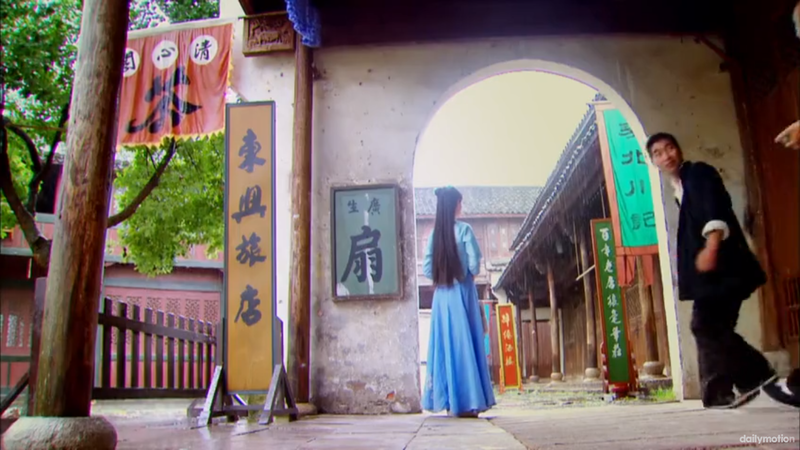 Learning that Shao Tian went to his lender to get money, all the other small fabric businesses are all now pissed at all the profit that they’ve lost too (because they were also unable to complete their orders now that their workers were gone), and they go into Fu Sheng and loot the store. 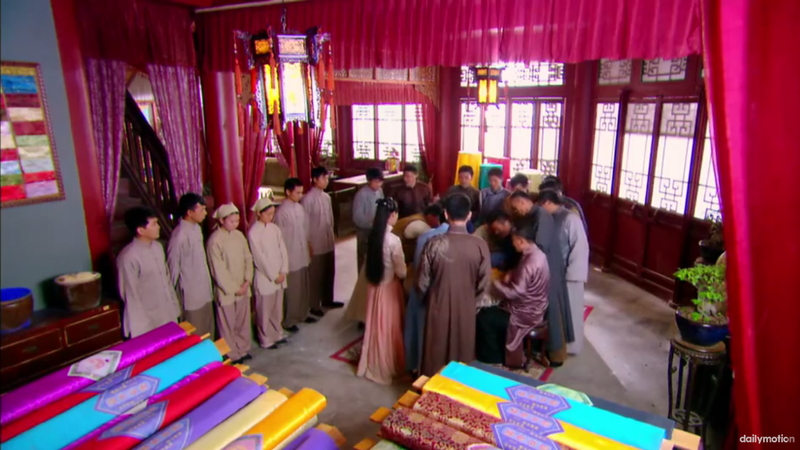 Shao Tian also gets beat up by his lender to return money back from opening Fu Sheng. 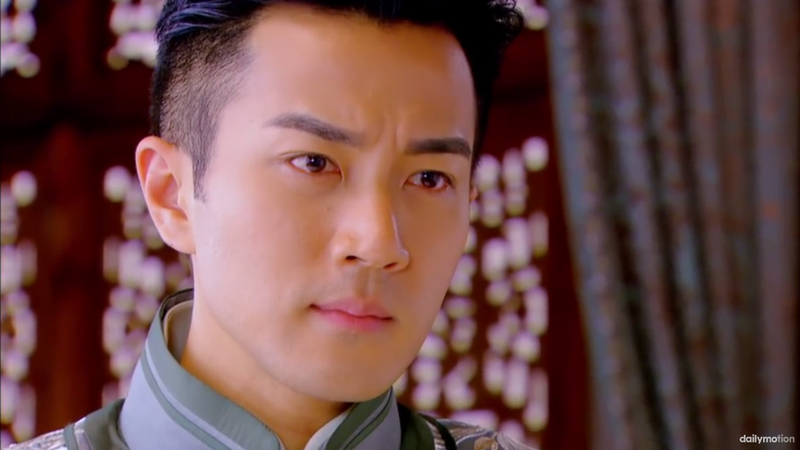 I know all that’s happening to Shao Tian is really unfortunate, but I can’t help but be glad that Jiang Yu won. 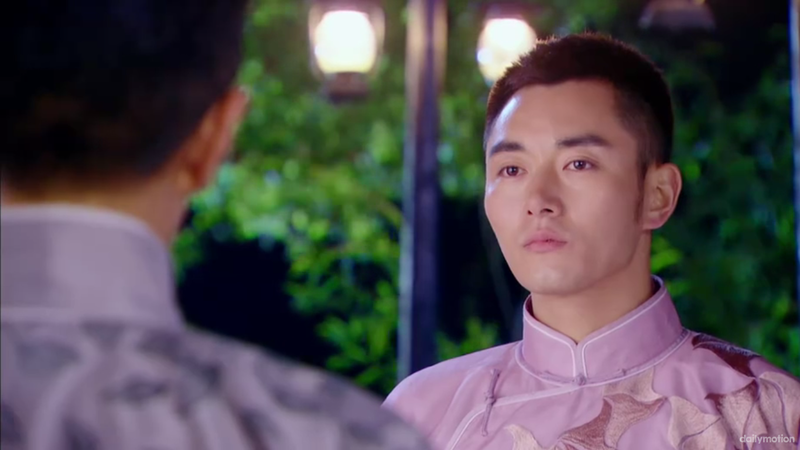 Shao Tian suggests to Cai Hong that they head to Tian Jin to start over – Cai Hong asks for a few days to think about it. 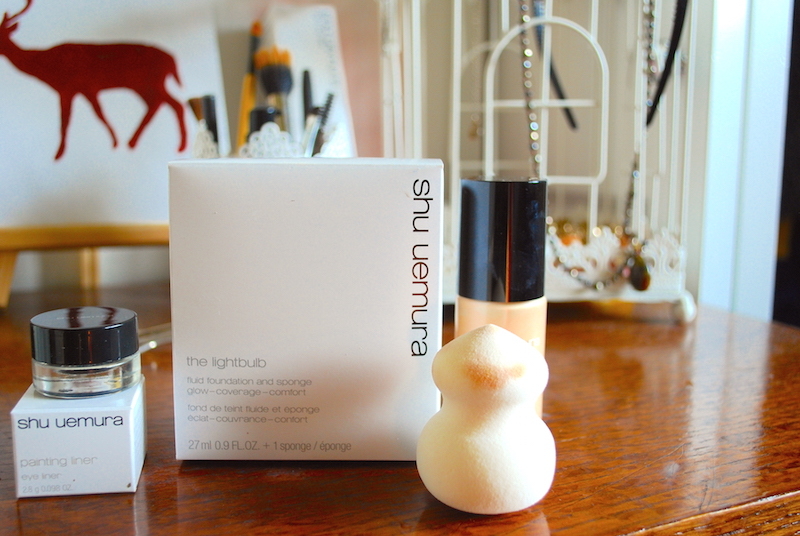 For some reason Lu Man always appears out of no where to for no apparent reason. 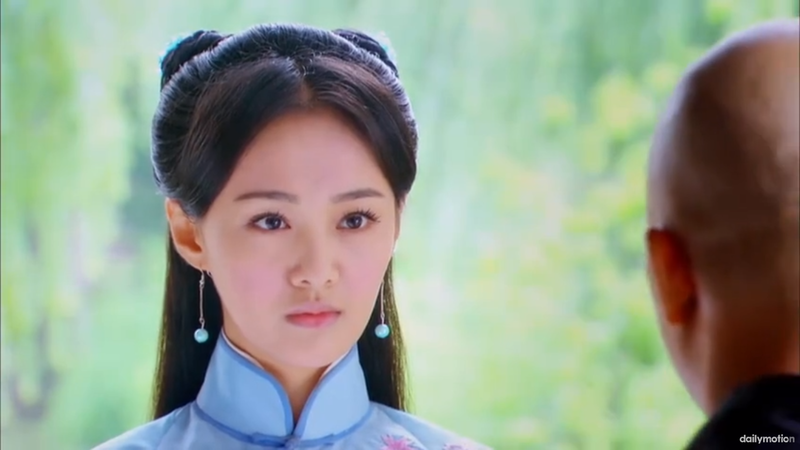 She literally has nothing better to do except for hang around and wait for Shao Tian and ask him for the secret method that he clearly has repeated that he doesn’t have. 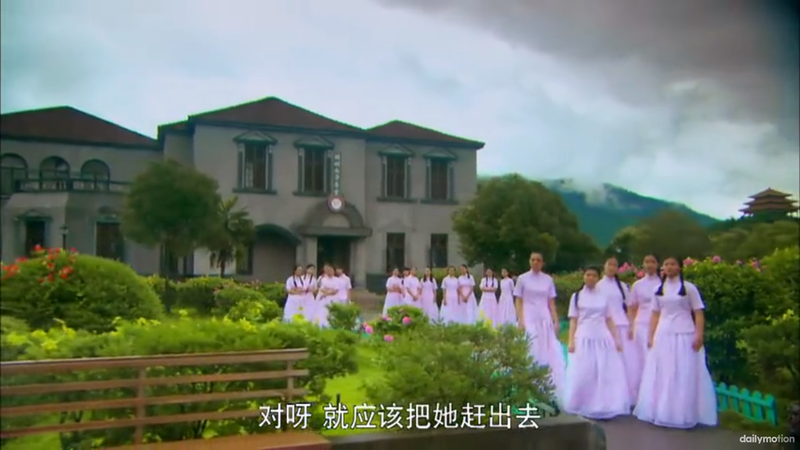 Cai Yun gets bullied at her classmates at school for the thief incident, and says that she doesn’t want to go school here anymore. 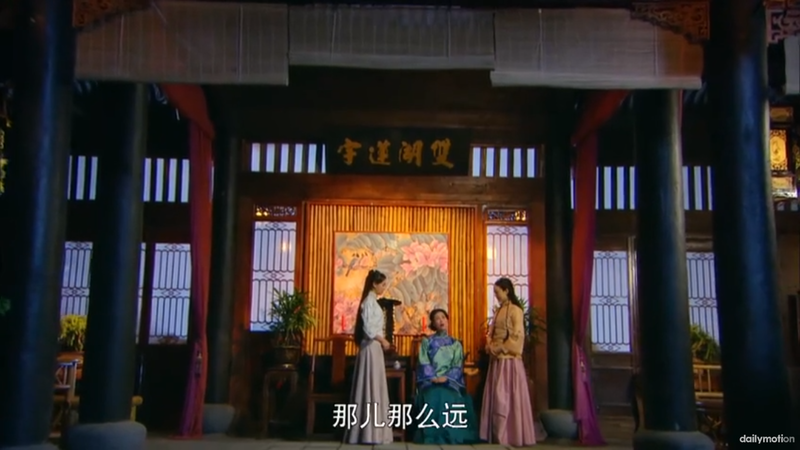 The daughters present to the stepmom the idea of moving to Tian Jin – on one hand they can start all over again, and Cai Yun wouldn’t have to be bullied anymore, and they could leave Jiang Yu’s bullying as well, but the step mom refuses. 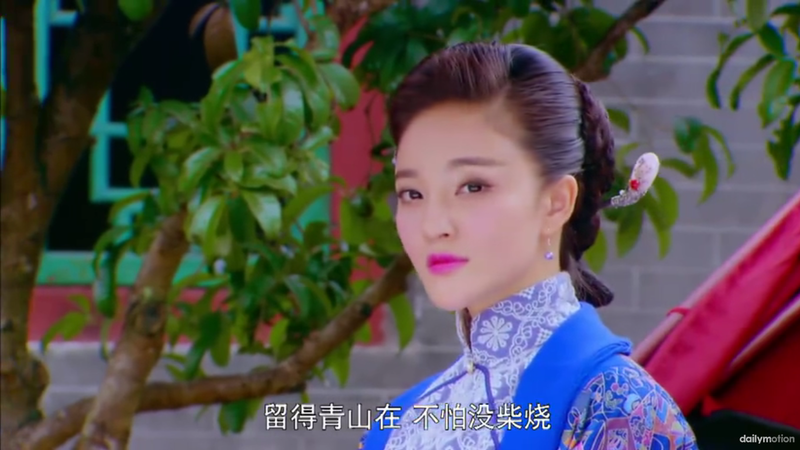 I just want to note that Kathy Chow’s acting is so bad for some reason in this drama. She’s so overdramatic with being an obnoxious lady that it just comes off as too exaggerated. 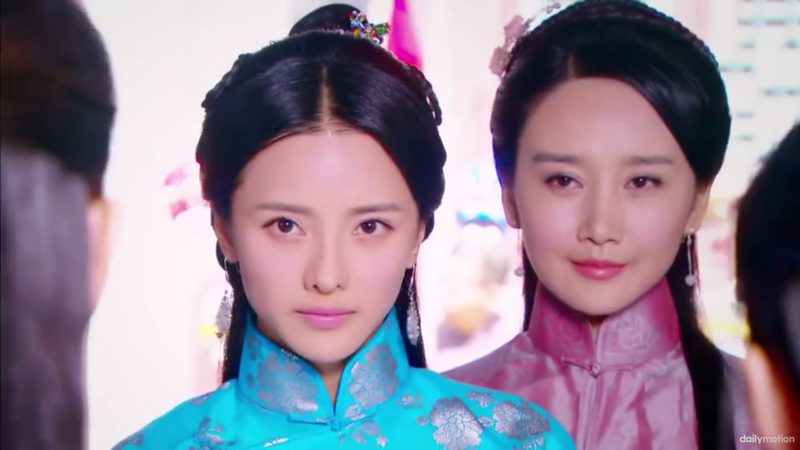 She was so good in Empress of China too – I wonder why. 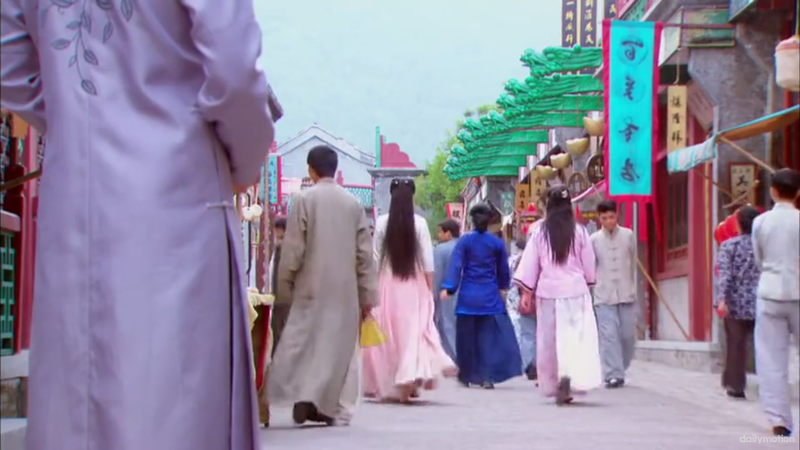 Shao Tian notifies his mom to pack up and that they’re moving to Tian Jin. 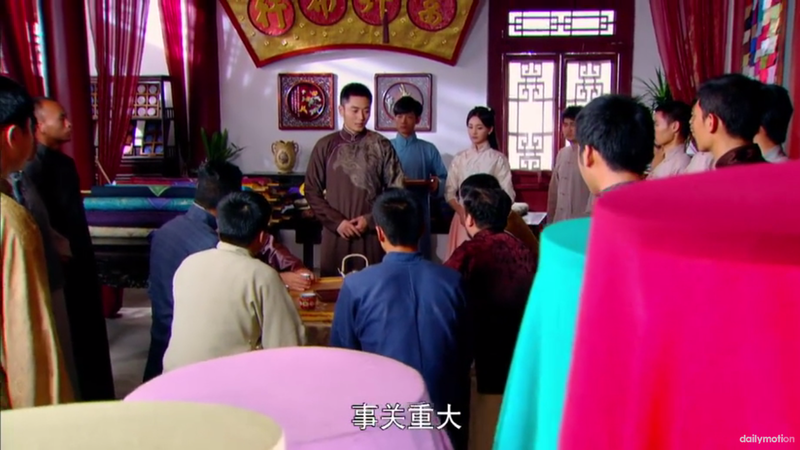 His mom interrogates him on why, and asks specifically if it’s because of Jiang Yu. Argh, aren’t you telling him what you know about the past?! Why are you so incompetent!!! 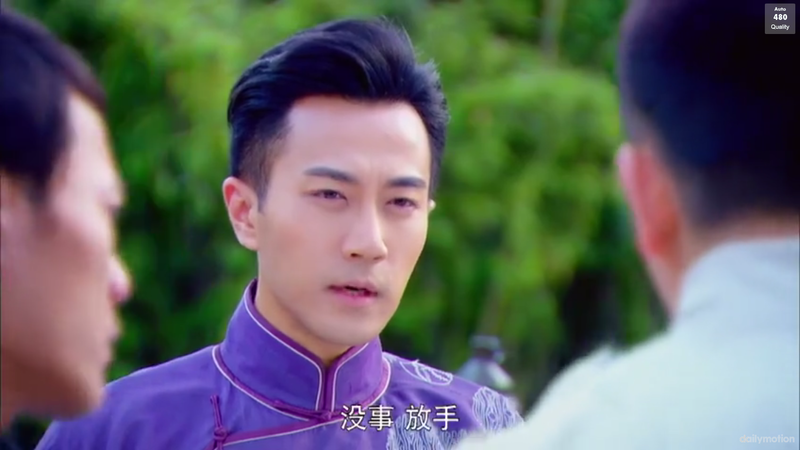 Cai Hong pulls a total dumb move (I can already foresee that it is hella dumb) by going to loan sharks to borrow money for Shao Tian’s business. Ok your company went bankrupt, you have no money at home, and you have no strategy to repay this money back, PLUS you use yourself as leverage. You are just asking for trouble and to be sold to the brothels ok? Obviously this is put into the plot for the two male leads to come save her when she’s in trouble and she’s supposed to look all noble and self-sacrificing when she gets in trouble for lending money for someone else’s cause, but damn girl, that’s really dumb to do. While searching for subtitles for this episode, this recap turned up in the results. This writer is hilarious. I may just read these summaries and give up on finding subtitles.